When it comes to dog training, most dog owners start and stop with the basics. After all, everyone wants his/her dog to learn how to sit, heel, lie down, stay, have a great recall, and to grasp the art of walking on a leash. However, according to www.iheartdogs.com, dog training should never end with foundation behaviors. Dogs, just like humans, have a brain, and as human, our brains must be exercised if we are to get any smarter. The same theory applies to dogs – the more we teach them, the smarter they get. In fact, according to the same site, professional dog trainers recommend teaching your dog a new trick after every few days. Speaking of new tricks, get one of your own by subscribing to BarkBox, the monthly subscription with toys and treats for your good boy, delivered to your door. 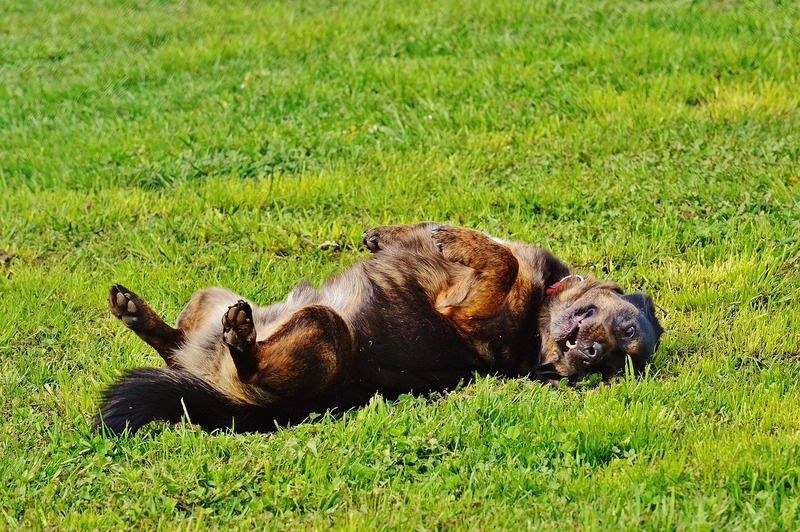 One of the most clever and cutest tricks you can ever teach your dog is the “roll over” trick. 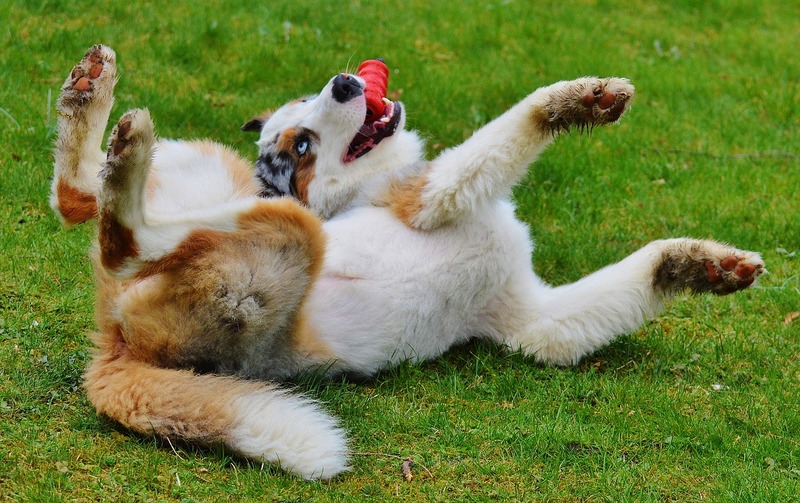 However, when compared to various tricks and commands, the roll over trick can be a bit difficult for your dog to grasp, but as www.about.com points out, with regular training and some patience from your side, your dog will eventually learn the trick. Before you begin the process of teaching your dog to roll over, he or she should have already grasped the art of sitting down and lying down. 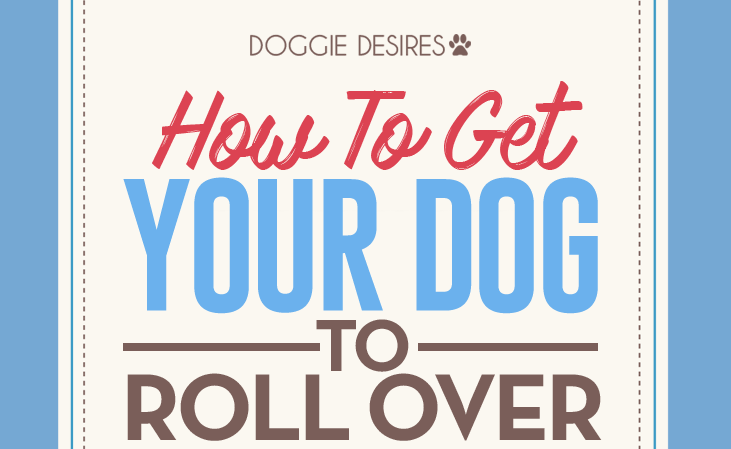 These two steps are important if your dog is to successfully learn the roll over trick, especially because he has to lie down first to be able to roll over. If he can’t obey your “sit” and “lie down” commands, make an effort to teach him that first. Once he learns how to lie down on his side, you can then proceed to the roll over trick. According to www.wikihow.com, offering your dog a treat he doesn’t get usually can motivate him to learn new tricks. In most cases, harm, turkey, roast beef, cheese, chicken, or any other food that he likes should work well as long as they aren’t too salty or fatty. Break the treat or treats into smaller bites to ensure you have enough bites and also to keep his tummy from getting too full to train. Need some new teats to motivate your pup? You need Super Chewer Barkbox! Check it out here! To begin the training session, command him to lie down. Once he obeys, hold out one bite of the treat you have chosen to go by and leisurely pull it towards his shoulder. At this point, your dog should be turning his head towards the treat. Once you achieve this, pass the treat around his shoulder to encourage him to lie on his side in order to seize it. Once he is lying on his side, continue to hold out the treat close to his nose and finally pull it all way so that he’ll be forced to roll over in order to follow it. If he manages to perform a full roll, he earns the treat – praise him and offer him the treat by all means. If you notice that your dog is resistant to lying on his back or is making some mistakes like turning his head towards the opposite direction or jumping up instead of following the treat, slow down a bit as you may be moving things a bit too fast. Also, let the dog know that there is no pressure in training. Make it more fun for him by scratching or rubbing his belly, praising him, or even giving him a tiny treat every time he shows you his belly. Keep your voice light and positive too when issuing commands and praises as this will help things along. After all, it’s not a must for your dog to master the roll over trick – if he can’t grasp the trick; there is no harm in teaching him another trick. Perhaps he will learn to roll over with time; the important thing is to teach him to enjoy learning. In conclusion, never, under any circumstances, turn to punishment as a way to urge your dog to learn new tricks. Dogs hate negativity and will not learn anything positive out of it. In fact, forcing him to learn or perform tricks will only force him to back away. You can see if your dog is sad or upset using these indicators. 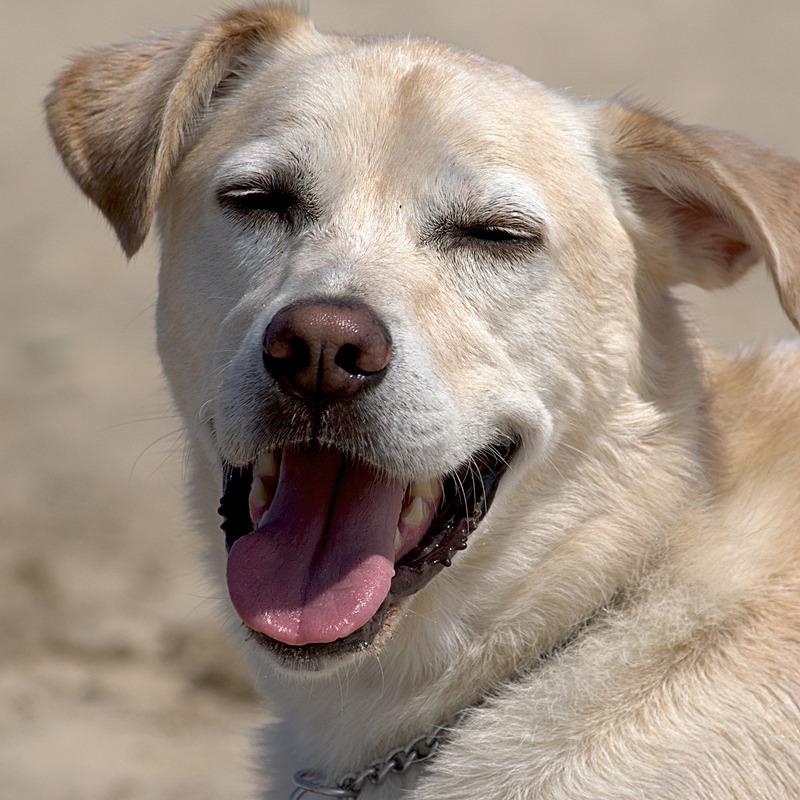 If you want to learn another cool trick to teach your dog, here’s 10 ways to get your dog to howl.